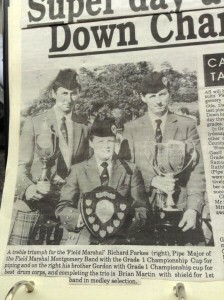 Field Marshal Montgomery won their 22nd All Ireland title on Saturday 4th July. 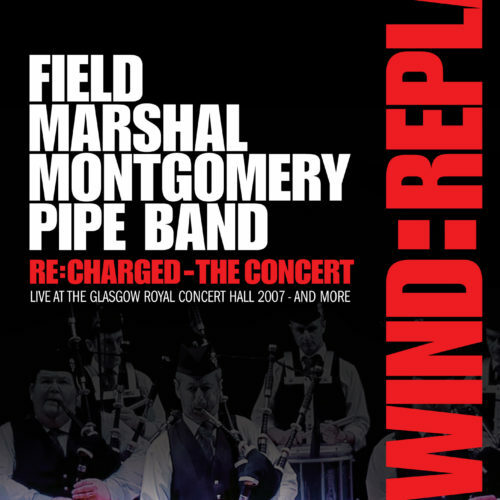 The band were awarded six 1st places out of a possible eight and were announced overall winners, taking top spots in both the MSR and Medley contests, as well as best drum corps and best piping prizes. 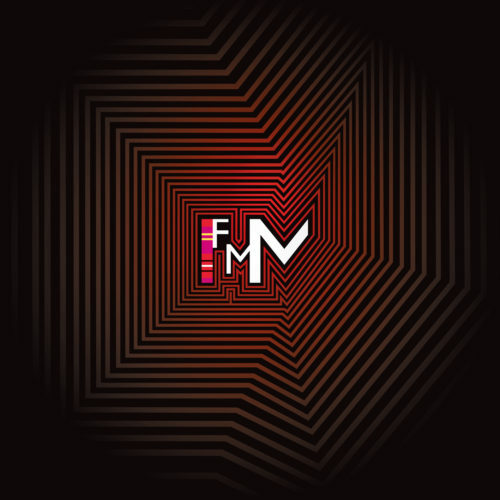 FMM performed their No. 2 MSR – Balmoral Highlanders, John Roy Stewart and Charlie’s Welcome – and their No. 1 “A Wee Bit Out of the Ordinary” Medley. 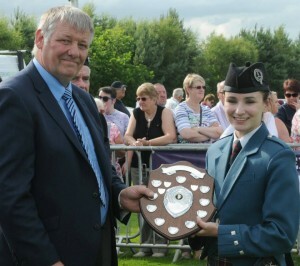 The 70th All Ireland Pipe Band Championships were held in the grounds of Omagh Rugby Club, Co. Tyrone. 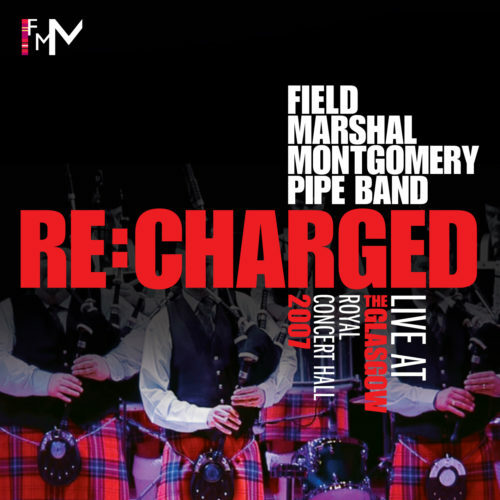 Special congratulations go to FMM Piper Brian Martin who won his 21st All Ireland title with the band, an achievement only surpassed by PM Richard Parkes MBE. 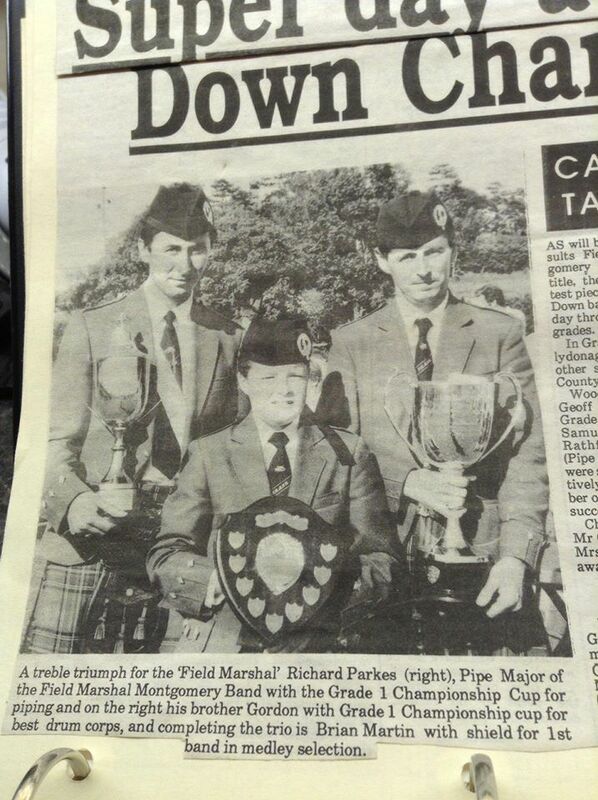 Brian is one of the longest serving members of the band, winning his first Grade 1 All Ireland title in 1989 at the tender age of 14. Field Marshal Montgomery is pleased to announce the appointment of Emma Barr to the role of Drum Major. Emma competed under the FMM name for the first time on Saturday and finished third in the Juvenile grade. 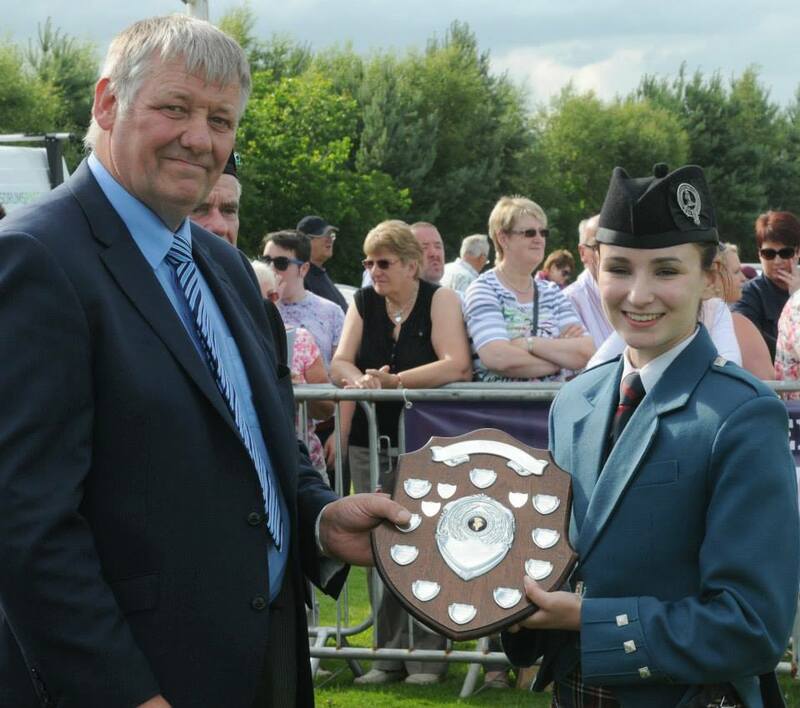 At just 16 years of age, she is already a very accomplished drum major, and is currently ranked 2nd in the World at Juvenile level and has numerous major championship titles to her name, including the British, Scottish and UK Championships at both Junior and Juvenile levels. Emma replaces Samantha Gordon who has retired from a very successful drum majoring career to pursue new musical directions as a tenor drummer with the PSNI Pipe Band. Richard, Keith and all at FMM would like to thank Samantha for her many years’ service and wish her well in her new endeavours. 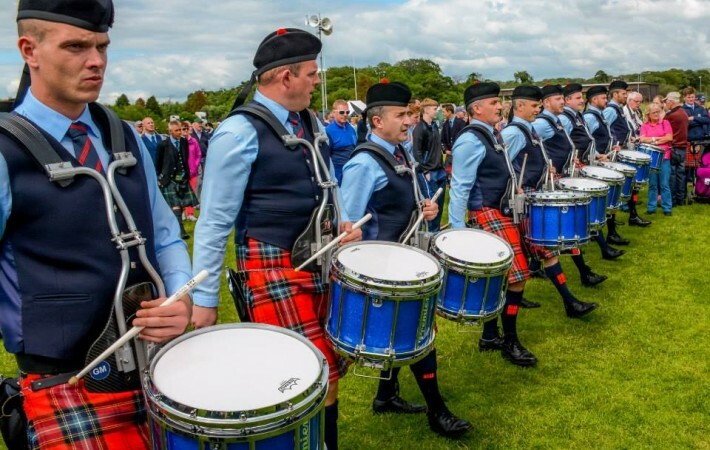 July marks the midway point of the season and players are looking forward to some well-deserved rest before they next perform at the Scottish Pipe Band Championships in Dumbarton on Saturday 25th July.